One of our real loves and interest has been in the Neolithic Pottery that has been found on digs near to our workshop. 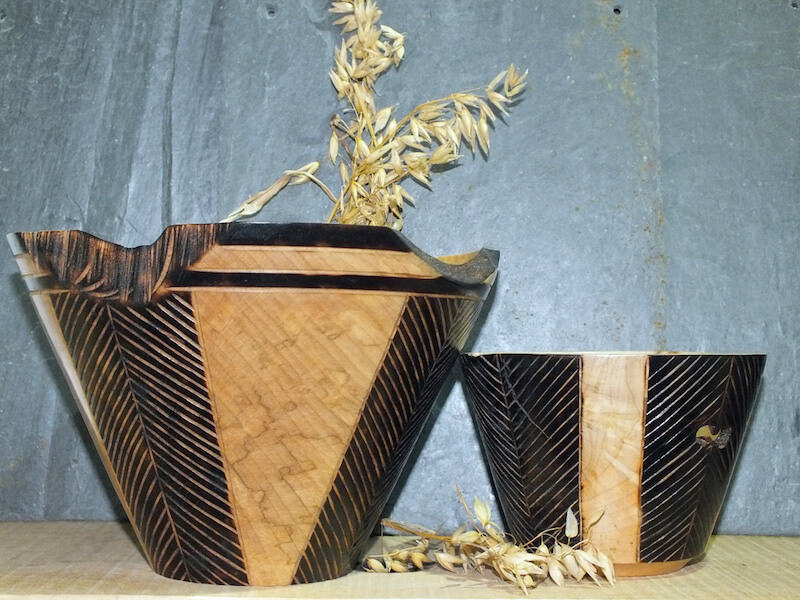 We have taken inspiration in the designs and shapes of the pots and created our own take in wood. The Neolithic period in Orkney produced two distinct styles of pottery – Unstan Ware and Grooved Ware. Unstan Ware takes its name from the stalled cairn of Unstan in Stenness, where copious quantities of the distinct pottery style were found during its excavation in 1858. Shallow, round-bottomed, and with a band of decoration around the rim, Unstan Ware came to be associated with the early Neolithic structures, and stalled cairns, in Orkney. Grooved Ware, however, with its flat bottom and intricate decoration of scored grooves, was more common in the larger, and more recent, settlements, such as Skara Brae and Barnhouse. 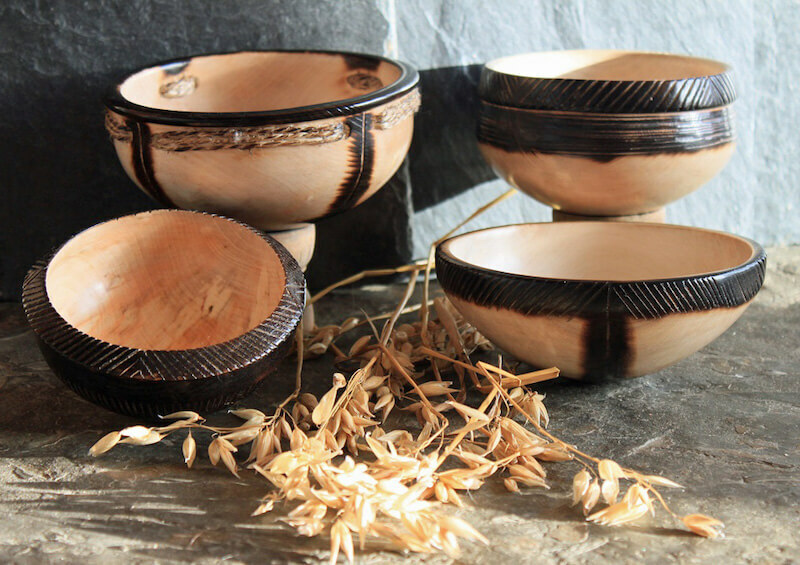 For more information go to www.orkneyjar.com Most of our ‘Neolithic’ range is turned in Orkney Sycamore. 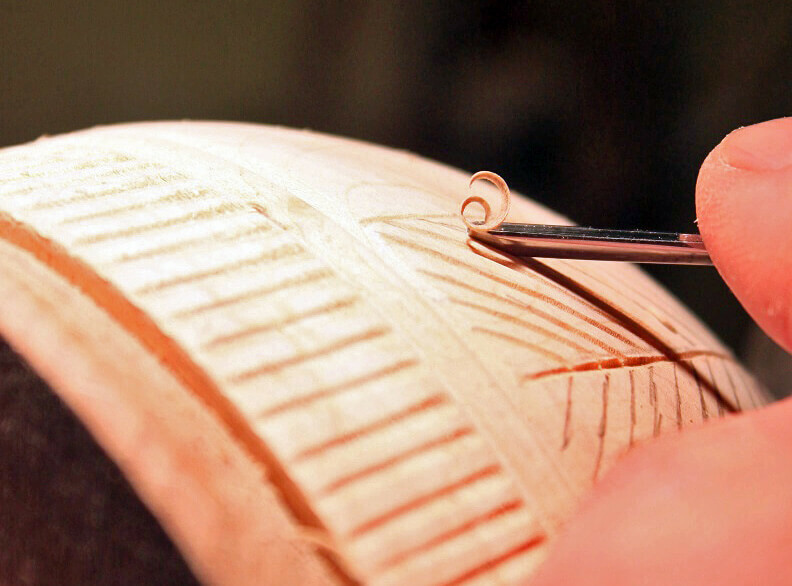 Michael then decorates with handcarving and ebonises the pieces and in some cases uses Sisal to give another texture. The bowls are then given an oil finish and will remain a beautiful, tactile object to be enjoyed and talked about for years to come.